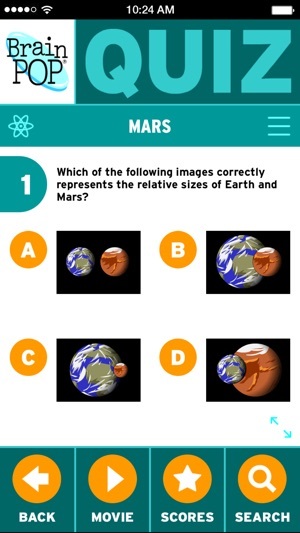 Help kids understand their world with BrainPOP Featured Movie app. Our animated movies engage via narrative, humor, and characters who speak in a voice kids can relate to, encouraging self-directed learning and further exploration of the world around them. Our free Featured Movie topics rotate daily and tie in to current events, historical milestones and figures, holidays, and more! 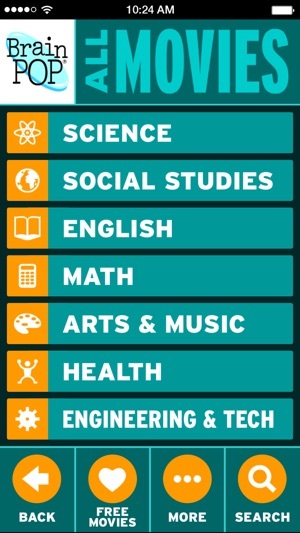 BrainPOP’s entertaining and informative animations are recognized across the world as a unique and engaging learning resource. Each movie is paired with an interactive quiz so kids can test their new knowledge, and all movies are close captioned, so it’s easy for them to read along. 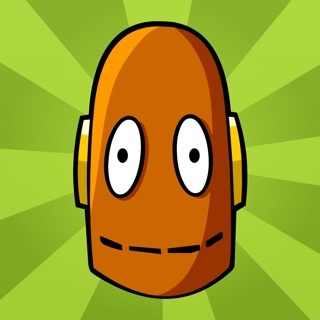 Want even more access to BrainPOP's award-winning content? Log in with your school's username (free!) or choose an optional in-app subscription. Give your kids the chance to explore hundreds of topics that span Science, Math, Social Studies, English, Engineering & Tech, Arts & Music, Health, and more! Education writers, parents, teachers, and kids themselves have lauded BrainPOP’s Featured Movie in thousands of reviews – for everything from its original voice and extensive selection of topics to its ease of use and unique delivery of fresh content daily. 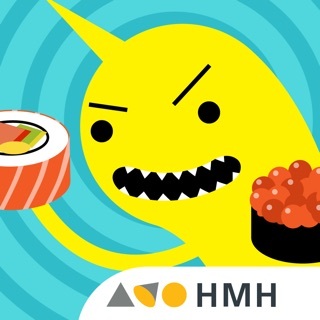 It’s also been recommended by Macworld, Family Circle, USA Today, iPhone Life, and Common Sense Media, among other outlets, and featured multiple times in the App Store℠. Spanish and French versions are also available in the relevant iTunes App Stores. See for yourself why our app is so popular! “BrainPOP Explorer Subscription” – The free Featured Movie and its quiz plus four additional related movies and quizzes, rotating every day. *Subscription will automatically renew each month, within 24 hours of its expiration. Your credit card will be charged through your iTunes account. To stop auto-renewal, turn off the feature in your iTunes account settings at least 24 hours prior to your subscription’s expiration. Current, active subscriptions cannot be cancelled. 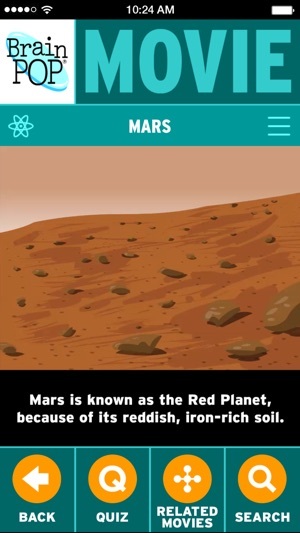 BrainPOP creates cross-curricular digital content that engages students and supports teachers. Our trusted and award-winning resources are used in nearly 40 percent of U.S. elementary and middle schools by millions of monthly visitors. Since our earliest days almost two decades ago, we’ve maintained a commitment to helping kids make sense of the world around them. 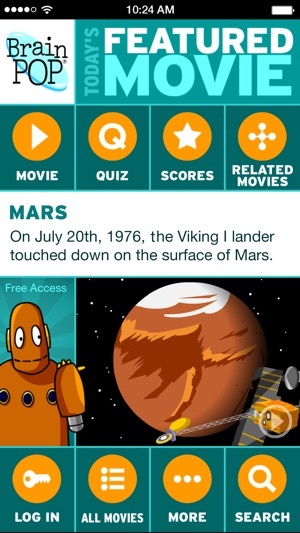 The BrainPOP Featured Movie app is a small part of that mission. 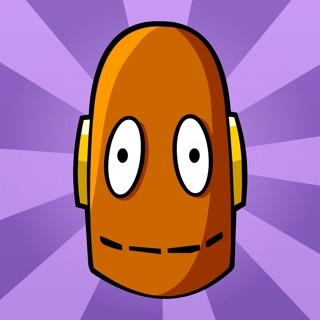 Visit us at www.brainpop.com to learn more. 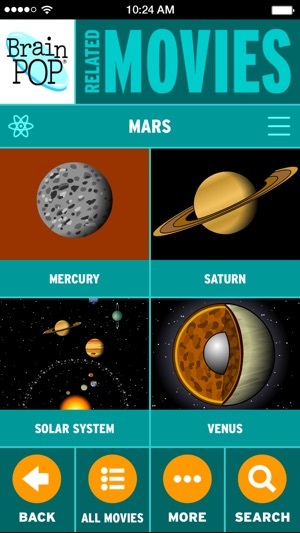 Students and knowledge-seekers will love learning about a huge range of topics with this fantastic educational app. Spanning everything from global warming to the art of Frida Kahlo, BrainPOP’s animated movies pack a ton of information into just a few minutes, using a conversational style that’s easy to understand. And because each movie is followed by a quiz that records grades, teachers can ensure students understand the material. With dozens of free movies and hundreds more available with a paid subscription, BrainPOP Featured Movie is an excellent resource for any classroom. © 1999-2018 BrainPOP. All rights reserved.